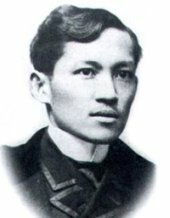 Of all Filipino poems, or mga tulang Pilipino , certainly the most famous and widely read Pilipino poem is José Rizal's "Mi último adiós" ("My Last Farewell"), written on December 30, 1896, the day before his execution. T is ever the same, to serve our home and country's need. And sleep in thy bosom eternity's long night. The touch of thy tenderness, thy breath's warm power. From thee, 0 my country, that in God I may rest. 'T is I, O my country, raising a song unto thee. Where faith can never kill, and God reigns e'er on high! Friends of my childhood in the home dispossessed ! Give thanks that I rest from the wearisome day ! Beloved creatures all, farewell! In death there is rest ! Filipino poems translated by Charles Derbyshire - The Pilipino poem "Mi último adiós" from Spanish to English.